Instructors without the proper training and experience are a risk to those they are meant to support. 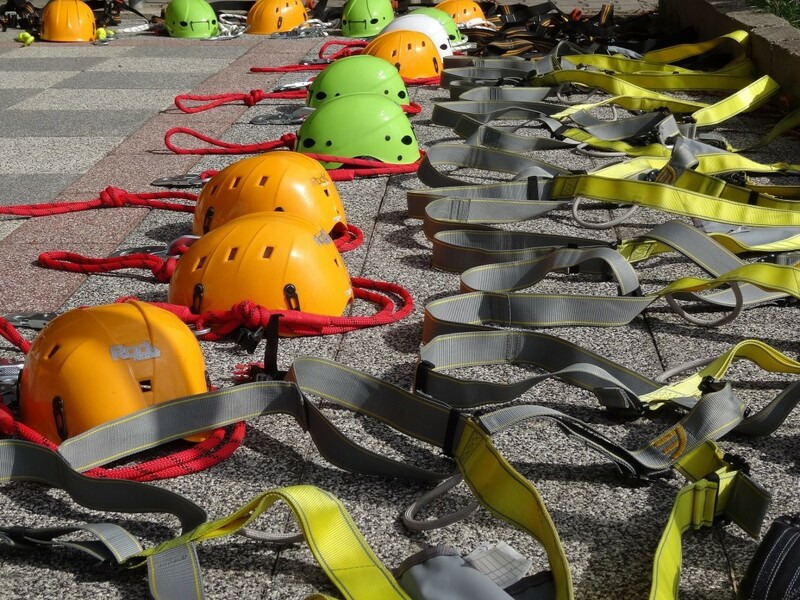 In June 2015, Essex County Council was fined £12,719 when an instructor allowed an eight-year-old girl to belay a 15-year-old girl, relatively inexperienced climber, resulting in her falling 7.5 metres at the Harlow Centre for Outdoor Learning. Her younger belayer was new to the equipment, there was no ground anchor or sandbag, and instructors at the centre neglected to provide sufficient training or oversight. In 2012, a secondary school was responsible for a boy of 14 fell 4 metres, resulting in a fractured heel bone. The school was fined £10,641, given the foreseeable nature of this accident and a lack of training, which if provided, would have prevented injury. In both cases, Section 3(1) of the Health and Safety at Work etc Act 1974 was breached, since neither were adequately protected against the risk of falls. Clearly, the Health and Safety at Work etc Act 1974 is one of the key pieces of legislation that anyone running a climbing wall needs to understand. But to run a climbing wall or outdoor adventure centre safely, there’s more you need to take into consideration. The AALA is the licensing body for any organisation that provides outdoor and adventurous activities for children under 18. Outdoor climbing (cliffs, rock formations, hills, mountains) is one of the activities managed by the AALA, which also grants centres and instructors an Adventuremark, confirming they are an accredited organisation. Applications can be filled out online, or a pack sent out when you call or email the AALA. A fee of £715 is needed, which covers the cost of an inspection and safety report. At a minimum, climbing walls need to fit for purpose. This includes the impact flooring. Both must be up the European safety standard: EN 12572 (parts 1 and 2). Training and an instructions manual must also be provided. Ensure all PPE equipment is maintained and inspected regularly. Risk assessments are done regularly, plus all climbers – new and experienced – should be made aware of the risks involved in climbing. Risk assessments should cover instructors, work at height risks, first aid and protect children/vulnerable adults. Ascertain the competency of any climber who wants to climb unsupervised. This should always be documented. New climbers and boulders should always have a safety induction. Anyone new to belaying should also have training from someone more experienced. Emergency procedures, including rescue operations, should be in place, given climbing walls come under WAHR and LOLER regulations. Instructors should have the appropriate training, which is available through Mountain Training UK. Experience and site-specific training is also recognised by the HSE as being appropriate, providing this can be demonstrated and documented. The British Mountaineering Council (BMC) uses a similar set of guidelines for its members, who are also monitored by the AALA. Climbing, even indoors, creates a whole new set of risk dynamics. Every stakeholder has a responsibility to ensure those risks are managed and reduced as much as possible. Papertrail helps climbing wall businesses, schools with climbing facilities, and outdoor adventure centres comply with health and safety regulations, save time on inspections and reduce risk. To find out how Papertrail can meet your safety management needs, book a free demo.